During her time off the clock, Ahnkha Aradamae was a Revenger. When she was on the clock, she was nothing more than a highly skilled and talented chef working for one of Callessa's upper-class restaurants. She had the admiration of her boss, the respect of her co-workers and the acclaim of the dining-scene critics. There was a delicate balance to her two lives, but one she had little trouble maintaining. That is, until something threatened to disrupt it all. A sinister scheme was unfolding right under her very nose that put not only her job but the lives of the entire staff in danger. She wasn't sure what exactly it was or who was behind it; she only knew she couldn't allow it to run its course. Her two lives were about to merge, jeopardizing her position and, indeed, her freedom. She had to race against time to stop a disastrous plan from coming to fruition -- without exposing her identity! This web site and its contents are © 2008-2012 Ivan Henley. 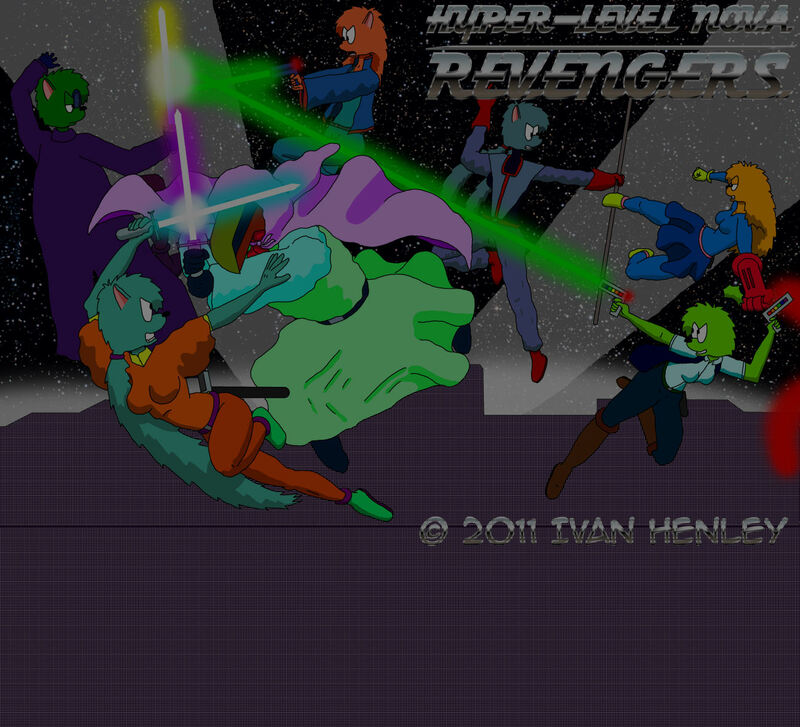 Hyper-Level Nova Revengers and all of its names, locations, and characters, including characters' designs and likenesses, are © 2008-2012 Ivan Henley. All rights reserved.